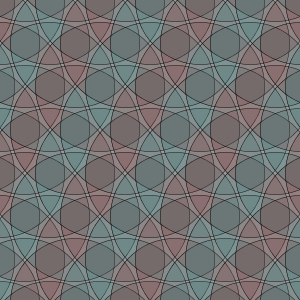 This sketch is inspired by islamic ornaments - though pretty simple ones only are implemented here. Circles are placed on a regular square or triangular grid filling the whole window. 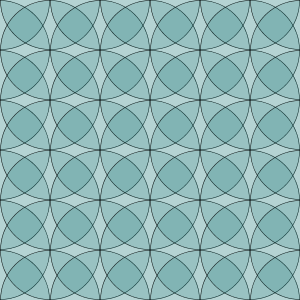 As the radius of the circles can be changed by dragging the mouse, the overlap of the circles changes. 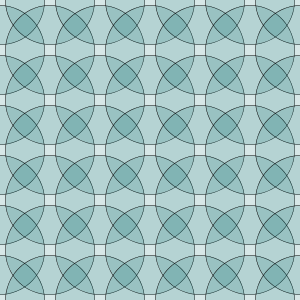 Playing with the radius that way results in very different and often quite surprising space filling patterns. In addition, the colors can be changed between all same and alternating, which gives yet another feeling to the patterns (key 'a'). 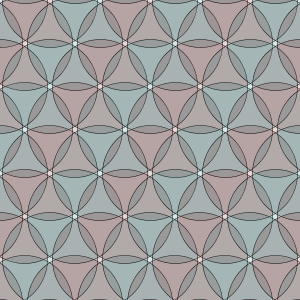 Two base grids are implemented, square and triangular, and can be switched via '3' and '4'.